2016 Volkswagen Scirocco GTS review | What Car? Seeing the Volkswagen Scirocco GTS is a bit like running into an old friend, only to find out that they’ve had terribly obvious plastic surgery. Here is the Scirocco – a tidy, well-priced and fun to drive four-seat coupe that we’ve had a lot of fondness for ever since it was launched back in 2008 – seemingly wearing a rather questionable styling kit and with a price tag £1000 higher than a VW Golf GTI 3dr. And let’s not forget that the latter is a much newer car, whereas the Scirocco sits on underpinnings from a Golf of two generations ago. Even taking into account the 218bhp the GTS produces from its 2.0-litre turbocharged petrol engine – making it the most powerful model in the Scirocco range short of range-topping four-wheel drive R model – the asking price immediately looks steep given the amount of talented new competition the Scirocco faces. 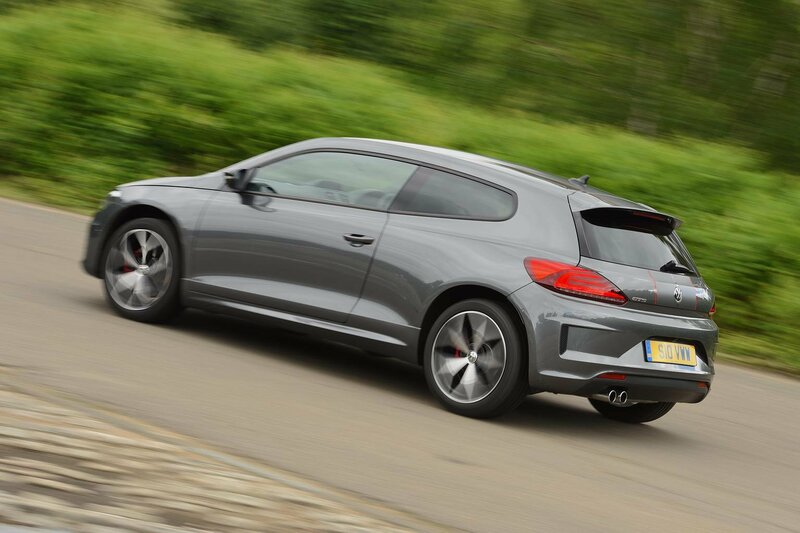 What's the 2016 VW Scirocco GTS like to drive? It’s still fun to drive, that’s for sure. The engine has the familiar zip of aggression to it that encourages you to rinse it of its full potential at every opportunity, and the reverberant, angry rasp of the exhaust only enhances that feeling. Our car had £830 optional adaptive suspension and a £210 XDS e-diff, and it handled with just the sort of unintimidating eagerness that you’d hope for. Chuck it gamely into a bend and it sticks keenly to your chosen line, and you can encourage a bit of playfulness from the rear end with some judicious, well-timed lifting off of the throttle. 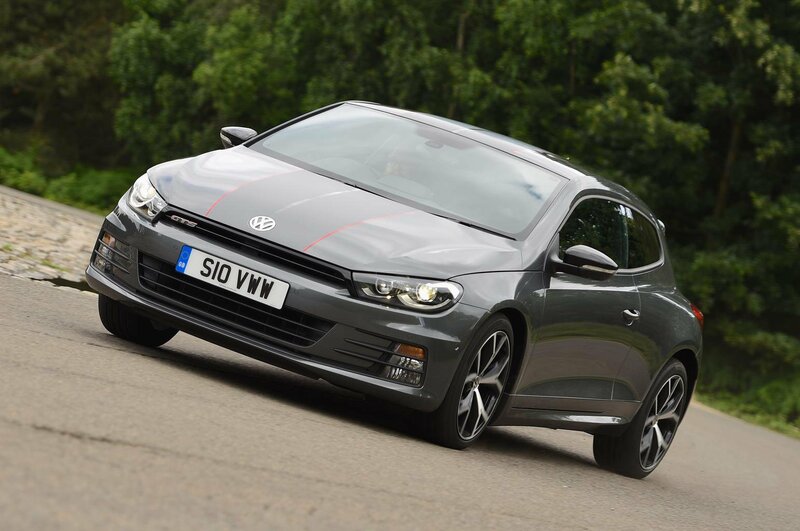 Slick, progressive steering response and weighting keep you feeling confident in all manner of driving situations, so the Scirocco retains a really likeable balance of rampant handling that settles to an easygoing mooch without fluster. Sure, it isn't as grippy or sweet-handling as the VW Golf GTI, but it doesn’t feel old or outdated in the way it drives, either. The ride isn’t quite so great, though. Even with the adaptive dampers in their most comfortable setting things are choppy around town, while switching to Sport model makes the ride unnecessarily jarring. What's the 2016 VW Scirocco GTS like inside? This is where the Scirocco is beginning to show its age. It’s far from unpleasant, with gloss plastics, supportive sports seats with a pleasing retro look to them, and a 6.5in sat-nav complete with all the key features you’d want. But some of the plastics feel a bit brittle and scratchy, and there’s a whiff of old-school design to elements of the interior finish and architecture. 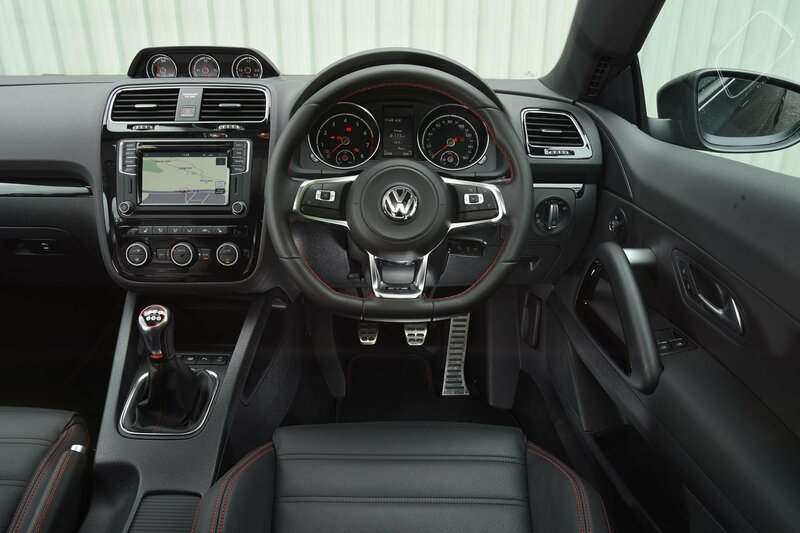 Again, a Golf GTI has classier feeling materials and a more solid fit and finish to its interior. There's enough rear passenger space to carry four in moderate comfort. Access is quite poor given the sloping roof and the fact that you have to clamber past the tilted forward front seats, but the same could be said of any coupe rival – in fact, a Peugeot RCZ is much worse for access and rear passenger space, although a Seat Leon SC is bigger in the back. The GTS has a decent-sized boot, which, along with those back seats, makes it one of the most practical coupes you can buy, although a Leon SC or a VW Golf GTI are altogether more practical choices. In general, the Scirocco remains a well-rounded and enjoyable coupe. 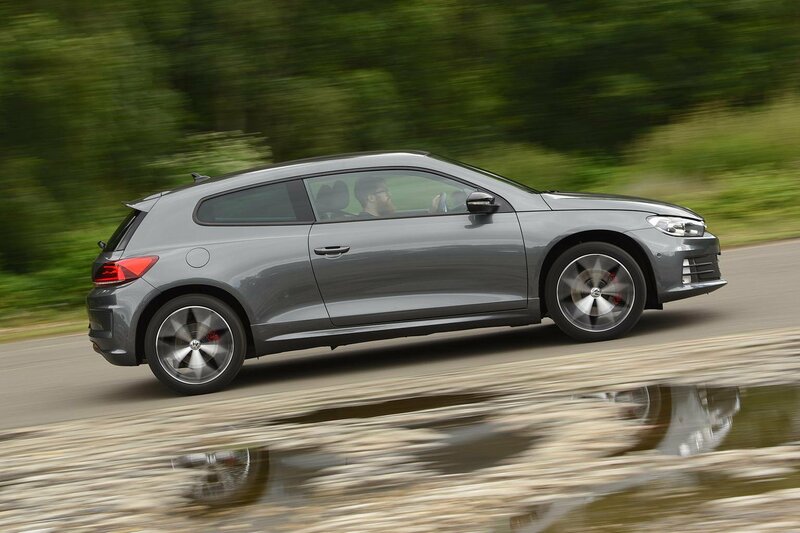 The problem is that this GTS version can't justify its price tag; you'd be much better off going for the £3500 cheaper 2.0 TSI 180 GT model if you're set on the sleek Scirocco’s looks. Equally, a Seat Leon SC Cupra 290 is actually cheaper yet much more powerful, while the aforementioned VW Golf GTI is even harder to argue against. If you can wrangle a big enough discount on the GTS then it might make more sense, but there are better alternatives out there.